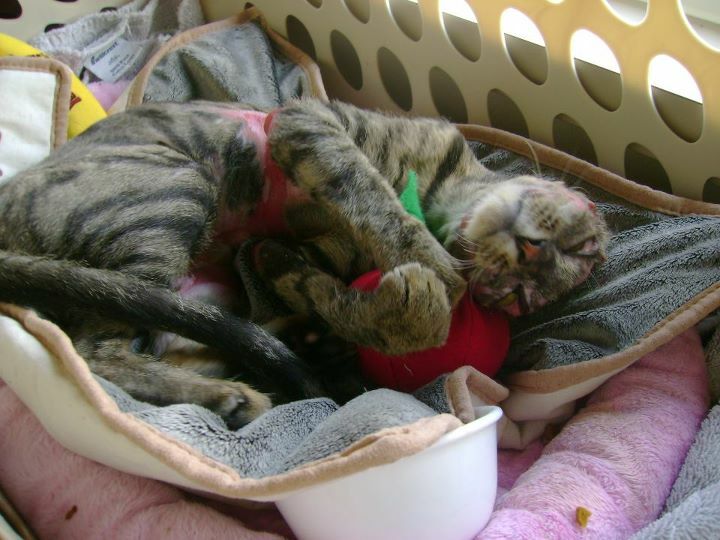 In response to requests for an update on Bernice kitty’s progress: Miss B. looking furry and blissfully contented while clutching her little catnip apple. 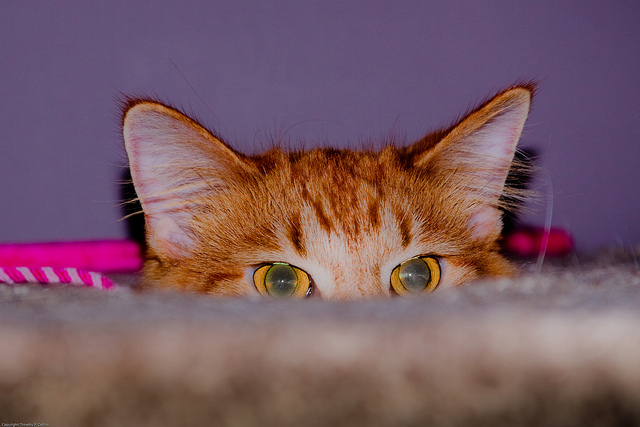 … then maybe you should open it up and see if there is a cat in there. 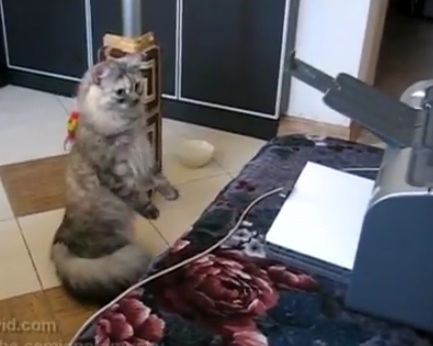 The little star of the popular Stretch Kitty video is up from his nap and ready to play. Oh, and he’s claiming that roll of TP for himself! 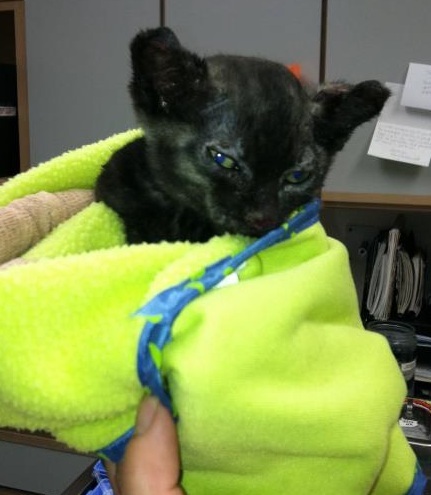 We had two stores earlier this month on Spirit, the intrepid little fighter whose will to live captured hearts after he was burned in a Carson City NV house fire. Sadly, he was unable to overcome his injuries. Run free little guy. 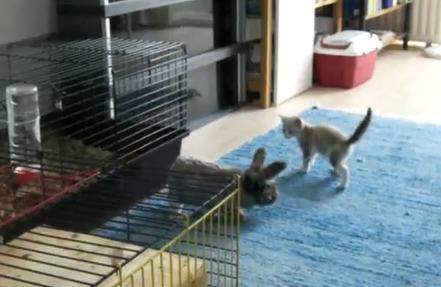 Cute interaction between a little kitten and a bunny. 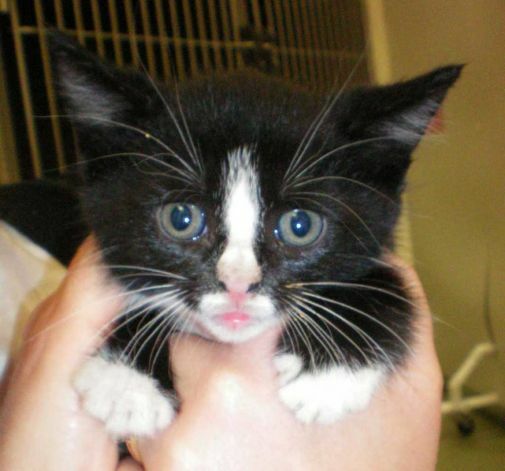 A Niskayuna NY family made an extra effort and rescued a little kitten who was all alone during last weekend’s major storm. Social media and news outlets have made Jack and his family’s plight a cause célèbre and caused the airline to publicly respond and take action. 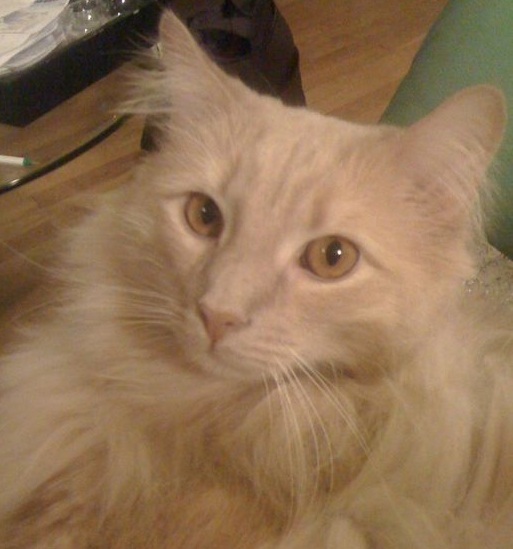 Five days on, though, Jack is still missing. 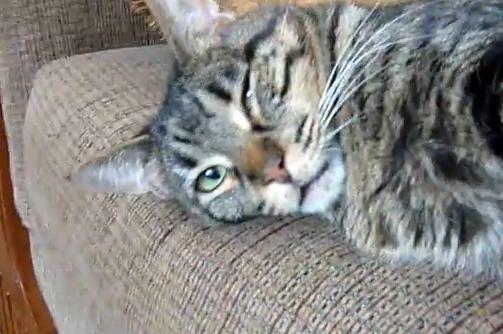 Lenny does not appreciate being filmed while napping.